5 Seconds of Summer (a.k.a. 5SOS) is an Australian rock band that that has been performing together since 2011, gaining fame on YouTube for their covers of pop and rock songs from various artists during 2011 and early 2012. They rose to international fame after touring with One Direction on their “Take Me Home Tour”, and the subsequent release of their debut album. The song “She Looks So Perfect” was the band’s debut single, and was released in November of 2014. It would go on to top the charts in Australia, New Zealand, Ireland and the United Kingdom. 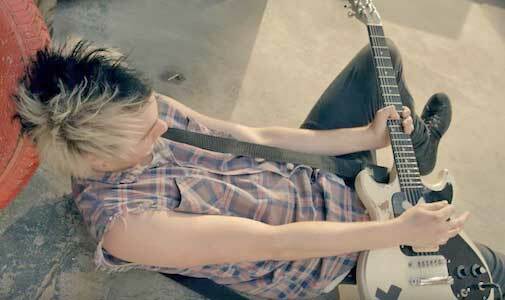 Michael Clifford rocks out in monochrome black chucks. 5SOS’s sound is very reminiscent of the late 90’s—early 2000’s pop-punk movement and groups like Green Day, Sum 41, and My Chemical Romance.The song starts out with the group chanting some “Aye, Aye Aye”’s as the beat slowly comes in. The guitar is very prevalent in this song, and the drums really provide a loud and percussive beat. The song is about a girl who is absolutely the one. The song’s hook has become well known amongst fans for its line about American Apparel underwear, and for getting stuck in your head. 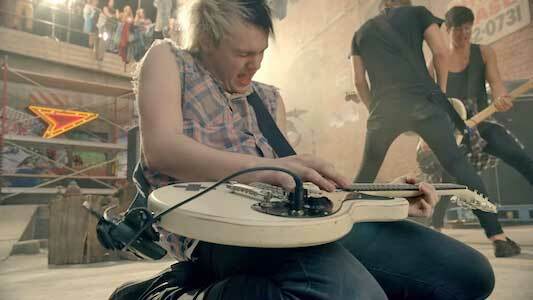 The song is very catchy and a suitable tribute to the pop-punk music of yesteryear. 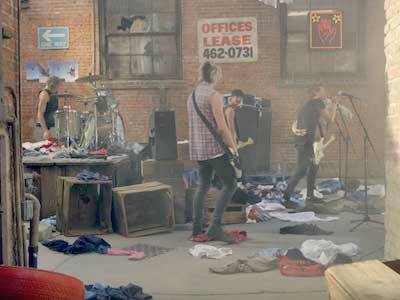 Underwear falls from the sky on top of 5SOS. The music video features the band performing in an alley, with underwear appropriately hanging over them on a clothesline. Guitarist Michael Clifford keeps the pop-punk look alive by wearing black monochrome chucks while rocking out in the alley. We also get to see the lives of a bunch of different people. There’s a woman buying groceries at a store, prison inmates sitting in the prison yard, a cook working in a kitchen, and many more. They are all going through ho-hum days until the music makes them start moving and grooving. At the end of the video, everyone strips down to their underwear in a nod to the line from the chorus. It’s a fun video that works well with the song, and gives the positive message that everyone can cut loose and feel good in their underwear. Click on the links below to get a new pair of chucks to cut loose in.